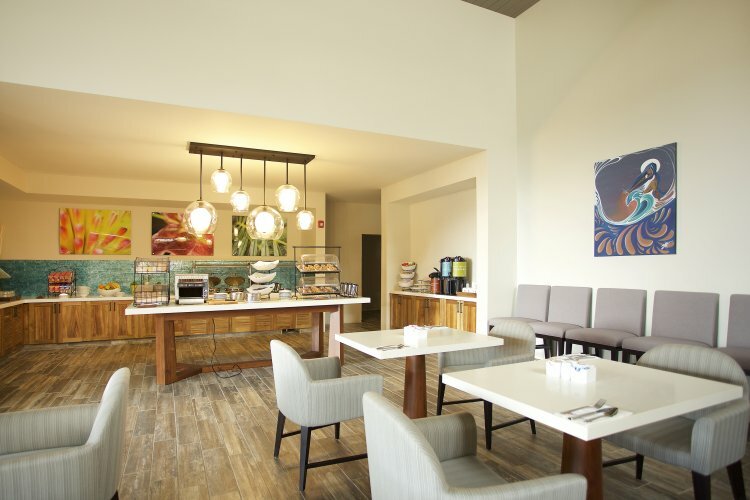 The Hilton Garden Inn, located in Kauai, has breathtaking surroundings. 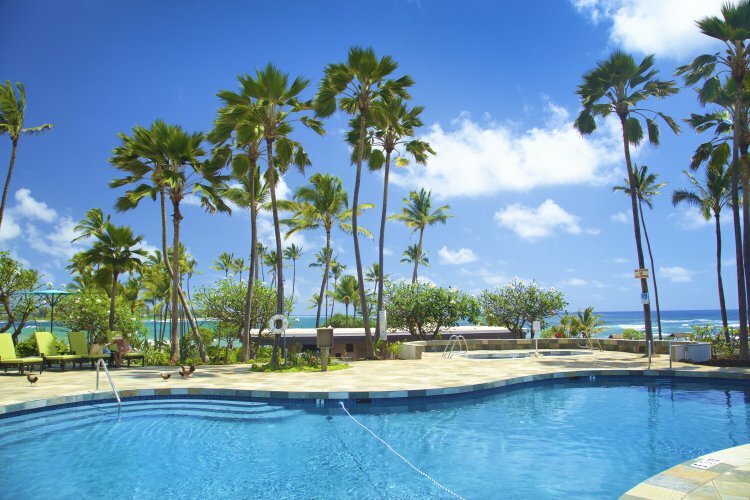 The hotel is surrounded by waterfalls, lagoons and lush tropical settings. This resort is in a convenient location making it ideal to travel from the airport and it is also close to a championship golf course. 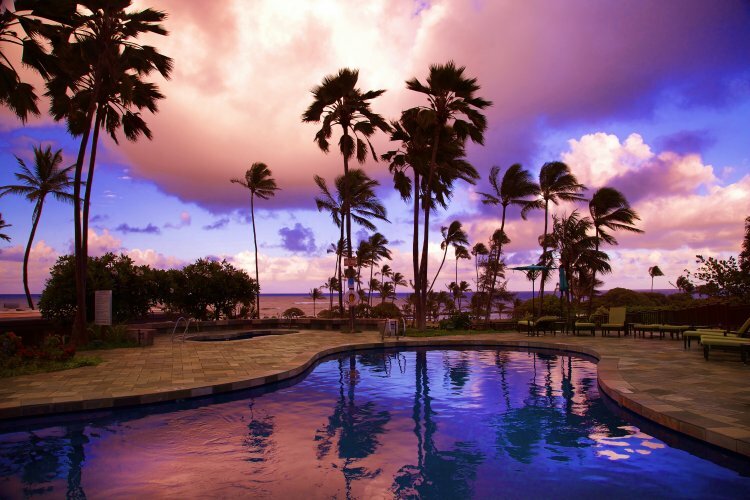 Its location also means it is ideal for going shopping and enjoying all of Kauai's other great activities and adventures. This amazing five story oceanfront hotel has a sand bottom fresh water pool and a great beach nearby that you can enjoy strolling along. 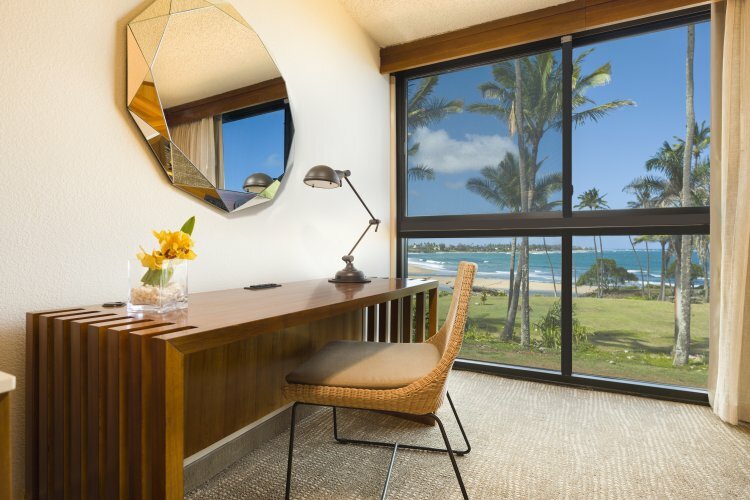 There are a mixture of deluxe hotel guestrooms and outstanding oceanfront suites. 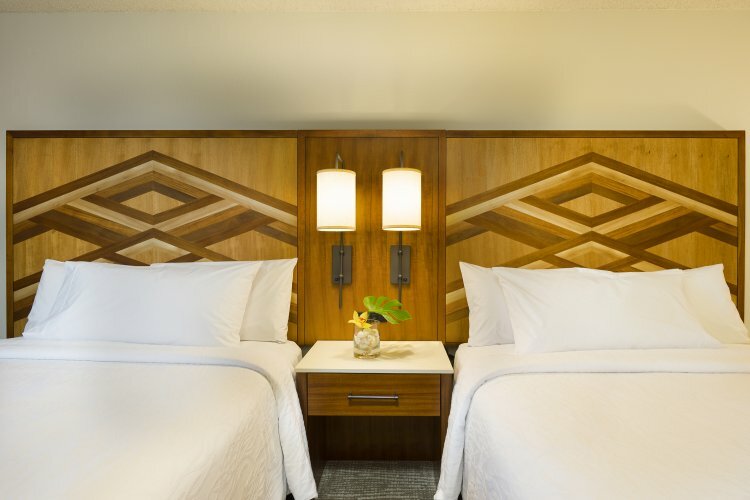 The suites and guestrooms are all stunning and are decorated to a high standard with modern amenities. The suites have a separate living area and bedroom. The hotel also offers flume and lava tube waterslides as well as three main pools and two whirlpool spas. The cuisine is fantastic and there is an open air restaurant which has fantastic views of fishponds, pools and waterfalls making it the perfect setting to enjoy either breakfast or dinner. There are also a selection of other restaurants and bars at the hotel and many more nearby.